While Californians may have a right to possess marijuana, it is still illegal to drive with an open container of marijuana in the vehicle. According to the Sacramento Bee, this applies to any receptacles or marijuana products that are open, have previously been opened, or have a broken seal. 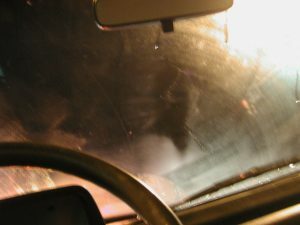 Once an officer clarifies the preliminary matters of possession, he or she must determine whether the driver has actually been impaired by marijuana use. This is an inexact process, because unlike alcohol, there is no scientific standard by which impairment can be definitely established for marijuana. The blood alcohol level of .08 has been correlated with the impairment of driving abilities, and this finding has been corroborated over decades of research data. No such level has been identified for marijuana. In the absence of expanded funding and research for marijuana impairment, it falls to individual officers to determine whether a driver is impaired based upon simple observation. Cars.com reports on the findings of a safety panel assembled by the Governors Highway Safety Association and National Highway Traffic Safety Administration. Among other recommendations, this panel of thirty-seven experts advocated for detailed observations and notes from officers on the scene. They also recommended a field sobriety test for marijuana, to allow an officer to support his or her objective observations with subjective test results. Of course, law enforcement officers are not the only people who can benefit from learning the signs of impairment. The panel recommended education for prosecutors, judges, and the public at large. Such training will enhance the efficacy of DUI prosecutions, and my increasing public awareness, reduce the number of prosecutions that become necessary. Because there are not yet clear laws about driving while under the influence of marijuana, defendants can face serious penalties without scientific proof of impairment.